If you have just taken a turn into healthy eating or if you like to keep a healthy diet, picking whole grain bread and products over white ones should be on the top of your shopping list. Whole grains are cereal grains that still contain the germ, endosperm, and bran; unlike refined grains, which only contain endosperm. 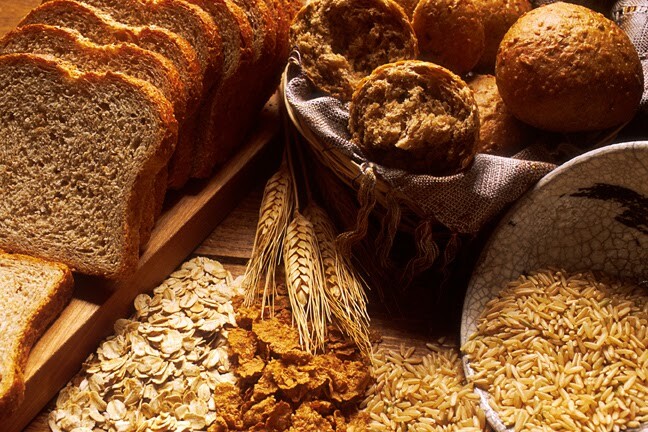 Wheat, oats, barely, maize, brown rice, rye, and the pseudocereal quinoa are whole grains. These products contain all parts of the original grain after milling. Non-whole grain products include white flour, bread, and rice, as well as regular pasta. Don’t be fooled into thinking that brown bread is necessarily nutritional, wheat bread, molasses and caramel coloring can sometimes be used to add the color; however, the product remains without all the nutritional value. Whole grain foods include both soluble and insoluble fibre, which among its health benefits is its ability to lower (or control) blood sugar levels, LDL (or bad cholesterol) levels, and chances of colon cancer.Whole grains reputation comes also from its richness in selenium, potassium and magnesium, even folates and many vitamins and amino acids. You can easily integrate whole grain choices in your diet. Try having oats, muesli, or our good Egyptian whole wheat Belila, for a good nutritious breakfast. You can also substitute your sandwich bread with whole wheat bread or cook more brown rice; these are just a few of many easy guaranteed ways for a healthier lifestyle. Next article6 Signs You Are Overtraining!